Welcome to Eat Up New England, a blog about some of the best places to eat around New England and sometimes beyond. It's only appropriate that I kick things off at Krispy Kreme. 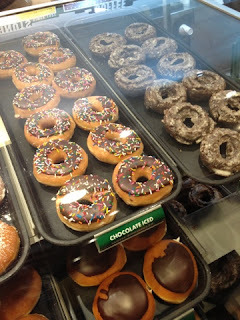 I recently visited one of the donut chains locations at Mohegan Sun. 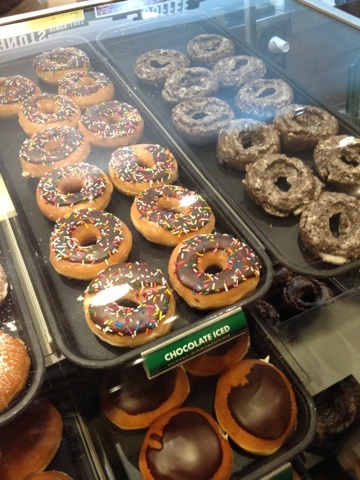 If you've never been, all of the donuts are great. They are known for their glazed donuts, which are excellent warm. If you go to one of their bakeries (and you ask nicely) you can often get one for free along with a baker's hat.